Sometimes it is difficult to know why modellers get particularly interested in certain subjects - they just do. Göran Sebardt's has meticulously built this collection of Tp2s - pre-war Junkers W 33/34s in Swedish service. 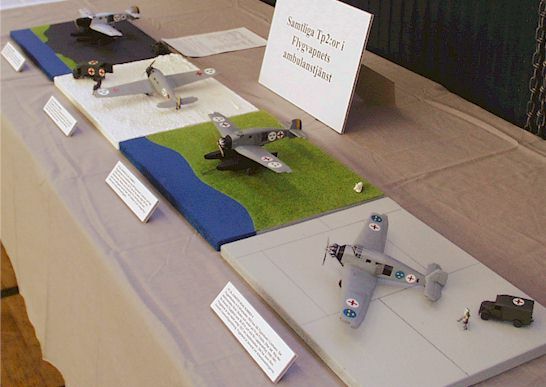 The collection consists of only few aircraft (four), but is complete - it presents all individual aircraft of the type ever used in Swedish military service. Göran used the 1/72 kits from MPM as bases for his creations. As stated before, despite the worldwide popularity of Junkers W 33/34, there were only few Tp2s in Swedish service. 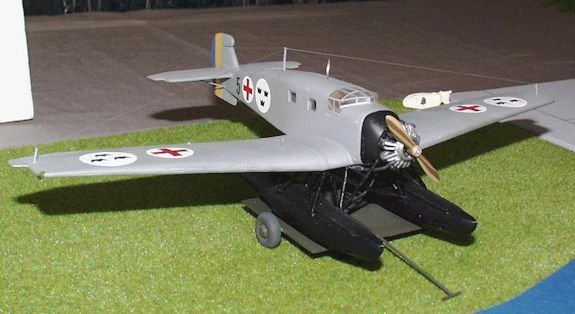 A single example of domestic-production Junkers W 33g served from 1933 to 1935 as ambulance aircraft under designation Trp2 (the Trp acronym, meaning transport, was later changed to Tp, but the number sequence has been retained). The remaining Junkers W 34h (Trp 2A) remained in service much longer, between 1933 and 1945. 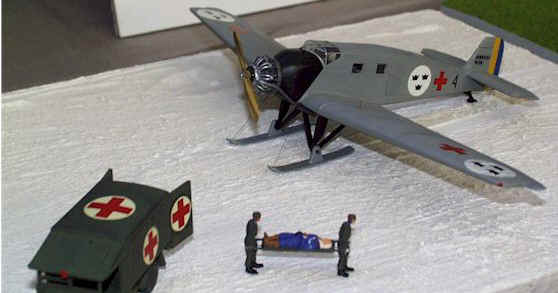 They, too, served as ambulance aircraft and were equipped with floats in summer and skis in winter. The Junkers W33 was a direct modification of the Junkers F13 for cargo operations. The fuselage was new, adapted for cargo loading through a side door or a door in the cabin roof. Production started in in 1926 with seaplane version following soon. The first W34 first flew just a few weeks later, being basically a W 33 with a radial engine, slightly enlarged fuselage and bigger tail. During further development, the W33 kept the Junkers inline engines while the W34 was offered with a bride area of different engines. While the W33/W34 could be built in Germany after the ban over Germany's aviation industry was lowered in 1926, Junkers also built these aircraft at A.B. Flygindustri in Limhamn, Sweden.